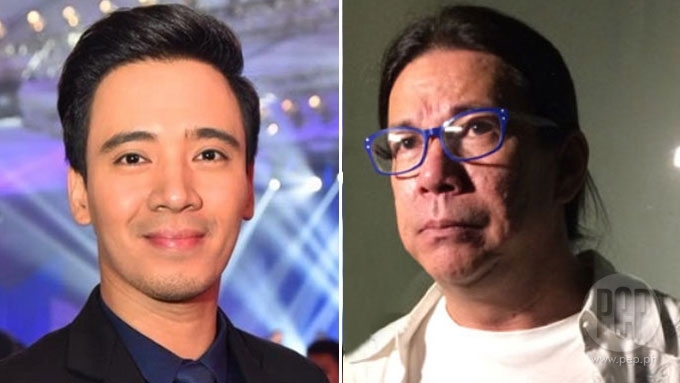 Jobert Sucaldito (right) on libel complaint filed by Kapamilya singer Erik Santos (left) and talent manager Erickson Raymundo (not in photo): "Haharapin ko ito at ilalaban hanggang sa kahuli-hulihang sandali ng buhay ko." 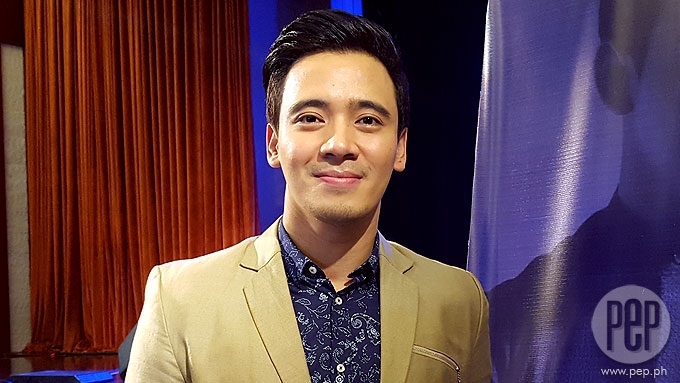 Radio host and reporter Jobert Sucaldito said that he is prepared to submit his counter-affidavit as soon as he receives a copy of the legal complaints filed by Kapamilya singer Erik Santos and talent manager Erickson Raymundo. Santos and Raymundo’s legal complaints totaled to 43 counts of cyber libel, 12 counts of grave threats, 1 count of slander, and 2 counts of libel. Sucaldito, for his part, gave an official statement hours after Santos and Raymundo submitted their sworn affidavits before the Prosecutor’s Office yesterday, March 30. Sucaldito also revealed that he was asked to take a “vacation leave with pay” following his controversial Facebook posts about Santos. “Nagsimula lang ito sa gulo namin ni Erik Santos who happens to be the artist of Cornerstone na pag-aari ni Erickson. Sucaldito and Santos technically work in the same company. Santos is an established Kapamilya singer while Sucaldito’s show Mismo airs in dzMM, which is an ABS-CBN-affiliated radio station. The radio show host and reporter further said that what affected him the most was when he learned that Sam Milby, K Brosas, and Jaya also appeared before the Prosecutor’s Office as a show of support towards their talent manager Erickson Raymundo. 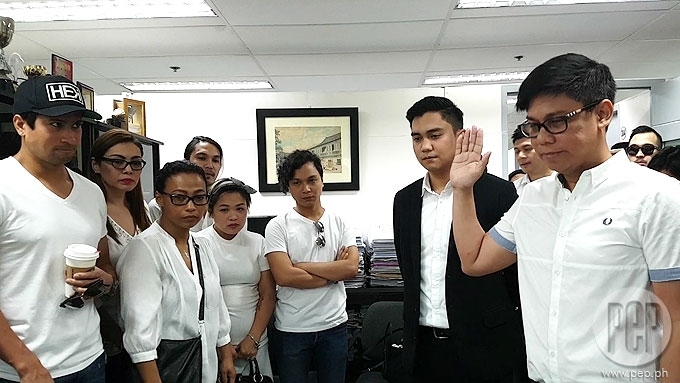 Cornerstone Entertainment Inc. President Erickson Raymundo and Erik Santos (not in photo) file legal complaint vs. radio host Joberto Suculadito at the QC Prosecutor's Office today. Some of Erickson's talents who voluntarily accompanied him are Sam Milby, Yeng Constantino, K Brosas, and Jaya. Sucaldito lamented, “Dito ako mas nasaktan - ano kaya ang nagawa kong kasalanan kay K Brosas na even before siya nagpa-manage kay Erickson Raymundo ay minahal ko siyang parang anak-anakan dahil alaga siya ni Kuya Boy Abunda before? “Kay Jaya naman, it's a common knowledge na sobrang minahal ko ang kaniyang namayapang inang si Mama Elizabeth Ramsey even during the last hours of her life - itinuring akong parang sariling anak at sobrang minahal ko. At any rate, Sucaldito reiterated that he won’t back down in this legal battle with Santos and Raymundo. PEP.ph (Philippine Entertainment Portal) was able to obtain a copy of Santos and Raymundo's sworn affidavits attesting to the series of "defamatory" statements which Sucaldito posted on his Facebook between March 10 to March 22, 2017. PEP requested for an interview with Sucaldito, but the latter simply referred to his Facebook post for his official statement. At press time, Sucaldito said he has yet to receive a copy of Santos and Raymundo's legal complaints against him.